Inconel 601 Heavy Hex Nut Exporter, Inconel 601 Countersunk Slotted Screw, Inconel 601 Fasteners, Inconel 601 Lock Nuts, Inconel 601 Tie Bar, Inconel 601 Spring Washer, Inconel 601 Hex Nuts, Inconel 601 Socket Cap Screw, Inconel Alloy 601 Double Ended Stud, Inconel 601 Spring Washer Manufacturer in Mumbai, India. ASTM, ASTM B166 Inconel Hex Nuts, WERKSTOFF NR. 2.4851 Threaded Rod, Inconel 601 Fasteners, Inconel UNS N06601 Nuts, Inconel 601 Mushroom Head Square Neck Bolts, Inconel DIN 2.4851 Washer, Inconel 601 Heavy Hex Bolt, Inconel Alloy UNS N06601 Stud Bolt, DIN, BS Bolts Supplier in Mumbai, India. Jayesh Metal is the leading manufacturer and supplier of Inconel 601 Fasteners and offers it to their customers around the world. These fasteners are manufactured using Inconel 601 grade that is highly resistant to corrosion and heat. It is a widely used alloy that is used for manufacturing different equipment and devices. The material that we use for manufacturing these fasteners is of top-notch quality and is well inspected and tested as per the international quality standards. 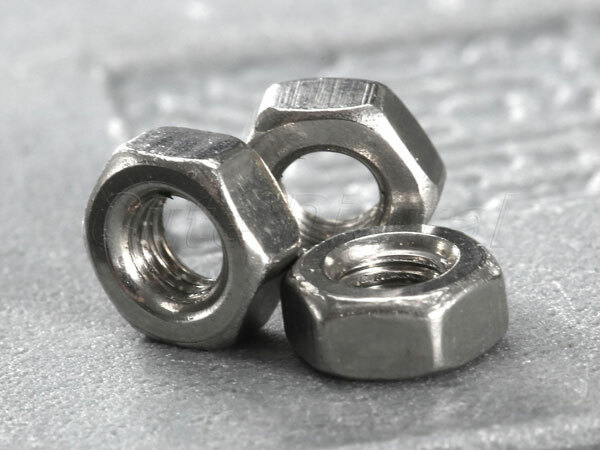 These are high-quality fasteners that are known best for their high strength, excellent corrosion resistance, ductility and long functional life. These Inconel 601 Fasteners are available to customers in varied shapes and sizes as per the demand and application requirement. These fasteners are used in extensively in industries like petrochemical industry, chemical processing industry, heater tube supporters, ash handling systems and grid barriers. Furthermore, these fasteners cover national as well as international specifications and standards like ASTM B166 and ASME SB166 specifications and DIN, ASTM, BS standards. The length of these fasteners varies from 3mm to 200mm and size M3 to M56 and more as per the customers demand. These Inconel 601 Fasteners are also available in hex head bolts, U bolts, T bolts, wing nuts and panel nuts type. However, to check the quality of these fasteners there are various tests done like a raw material test, radiography test, macro test, third-party inspection and many more. All these tests are done under the guidance and supervision of quality experts so that no rules are violated. At last, these fasteners are packed in the high quality of wooden cases or boxes to prevent rust and damages.